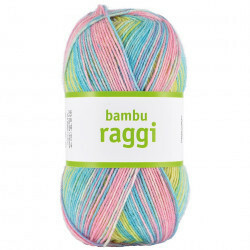 Järbo yarn has existed since the 1980’s when the wool factory was established. Back then the production concentrated only on producing yarn, weaving and dyeing. Around the 1960’s, they started to focus their production solely on yarn for upholstery, rugs and curtains. Around 1980, they decided to focus only on producing yarn for ordinary handicraft. Today, the business is family owned by the siblings Jan Blomberg and Kristina Yttermyr. 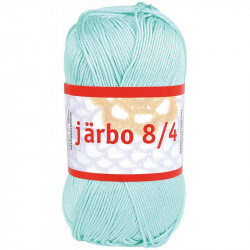 Järbo yarn is represented many places around the world, but the primary focuses of the company are Denmark, Germany, The Netherlands, Sweden and The United States which are their primary markets. 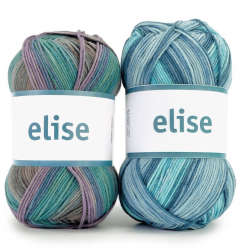 The products of Järbo yarn are incredibly popular because their yarns are of a really good quality produced under environmental-friendly circumstances. They have made it their ambition to create products made with consideration to animals, nature and the environment. Thus, they solely cooperate with suppliers that meet the standards of ILO, BSCI and ICTI. In other words, this means that the various suppliers must be able to certify that no animals are harmed, that workers have fair working conditions, and that no harmful chemicals and harmful ingredients are used during production. 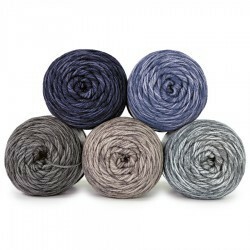 Järbo yarn is great for everyday use because Järbo have so many different products that can be used for various things. 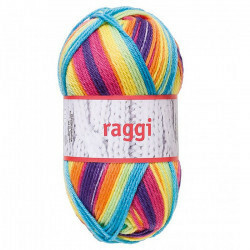 They have products of wool, acrylic and cotton which provide you with a good opportunity to crochet or knit various clothing items for yourself and the rest of the family. 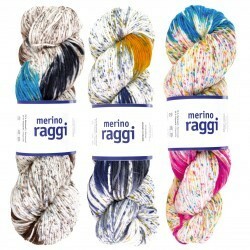 Furthermore, Järbo yarn also has a lot of free patterns, you can use. You will be able to find patterns for men’s, women’s and children’s clothing, and even the dog can get a cute little sweater. But they also have patterns for bags, wallets, cushions etc., so you will have a lot of options to choose from. 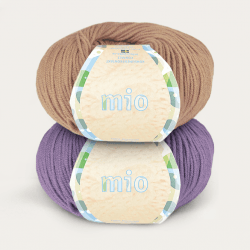 One of the best things about Järbo yarn, besides its amazing quality, is that it is great for the scandinavian climate in which the temperature is often low. Here at Hobbii, we strive to be some of the best and the fastest at delivering Järbo yarn and yarn supplies. Thus, you always receive your goods no later than 3 weekdays after you placed your order online. We take great pride in having a high standard customer service and you can always call us, if you have any questions regarding some of our products. We always provide you with a full refund on goods ordered via our online shop. You are always welcome to contact us, if you have any questions regarding our Järbo yarn, or if you need help with ordering. You can contact us via our contact form, and we will answer you as quickly as possible. We are looking forward to welcoming you as a customer. 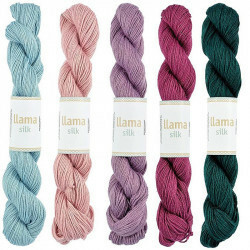 These are small skeins. Make sure you account for the yardage. I plan on making a larger scarf/wrap with it. It feels soft and smooth. It is a little thicker yard than I thought it would be and that is a very good thing. I think it is strong enough to have 36-40 inches in width and long enough to drape over both shoulders and have one end waist length in front and back. This will allow the most different ways to wear it. Just knitted socks in the cornflower and it was so beautiful to knit with. Some sock yarns are a bit scratchy but this was so soft and easy on my hands, so will be gorgeous on twinkly toes. I may just keep this pair for myself! 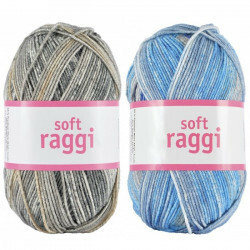 Love the feel of the fuga yarn, it is very soft and can't wait to make something with it. I will be looking at the patterns on this website to find something that I would like wear. 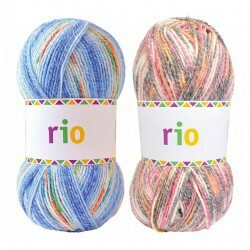 I love the colors and the softness of this yarn. I think I will make a little sweater for my Granddaughter. I have ordered 4 times from Hobbii and have never been disappointed. Oh my word! Can you say squishy yumminess!? 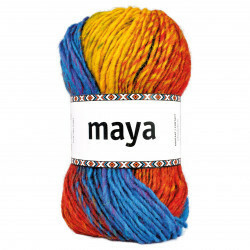 I fell in love with this yarn the minute i grabbed it out of the bag. Works up fast and beautiful! this so soft and the colors are more vibrant in person! I have a shawl pattern picked out and am excited to start, will post when finished!